Not just a pretty face ? 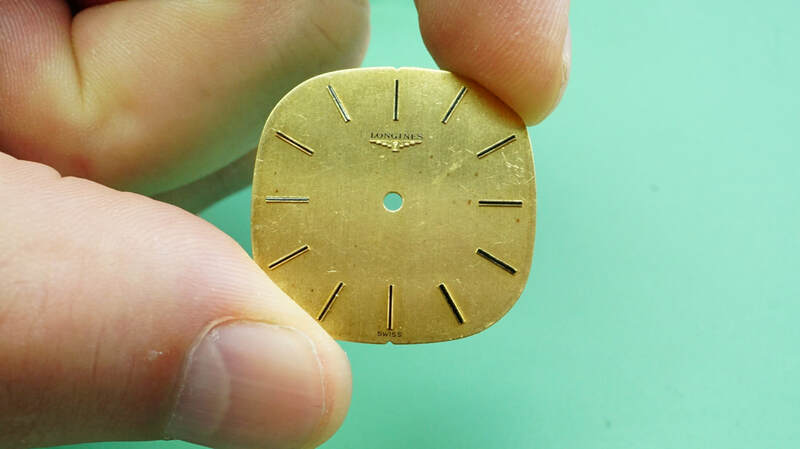 The watch dial or face is probably one of the most important parts of a watch, sure you can get fancy cases, nice straps , even fancy shaped hands, but the face is our means to tell the time. 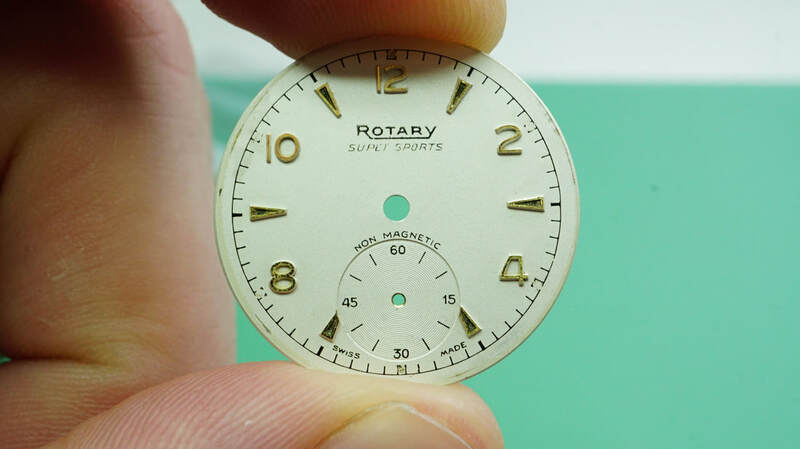 Over time watch faces/dials can become aged or dirty, although more often seen on vintage watches this can happen in a fairly short amount of time to modern pieces also. 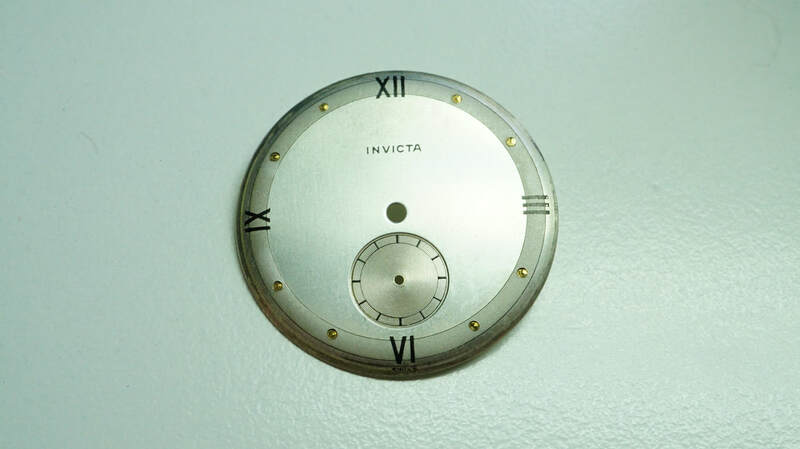 Sometimes this aged look can have its appeal ( patina ), but quite often the once shiney clean dial we once adored can be found to be lacking. 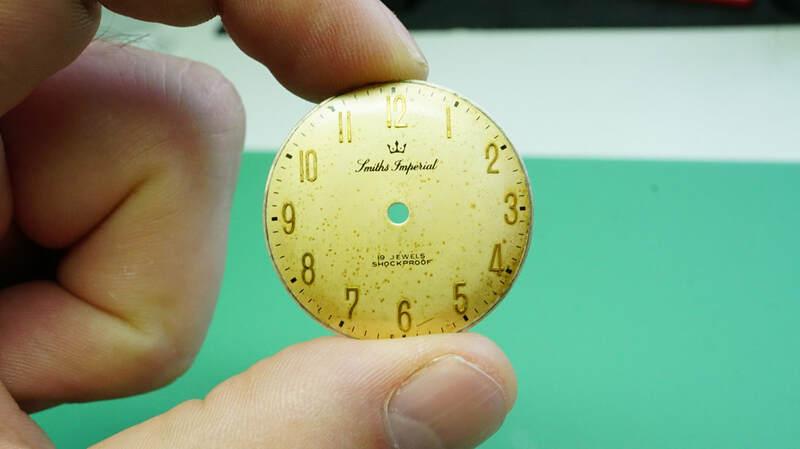 Its worth noting that a complete dial restoration is one method to bring back the shine and beauty of a dial, but in this process we lose the originality of the watch. 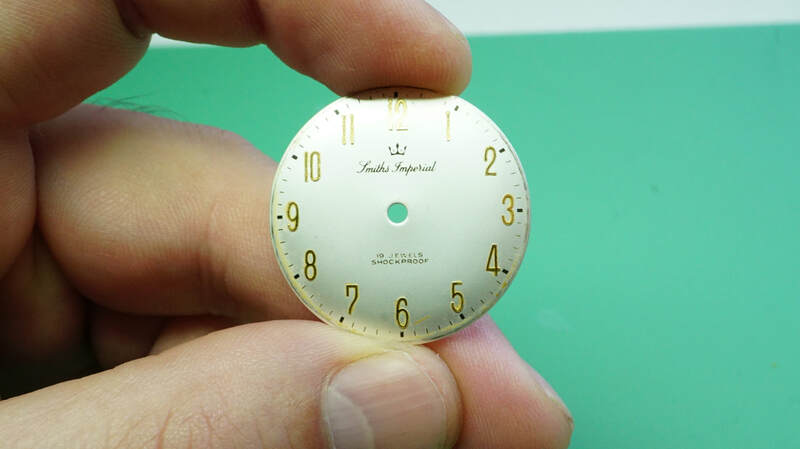 Dial restorations have their place and it is acceptable to do so when the dials condition is beyond what can be accepted by the owner. However there are other methods which can be used, some with more success than others and none of which are without risk. Dial cleaning is an alternative to refinishing that although carries risks it also can have dramatic and brilliant results. 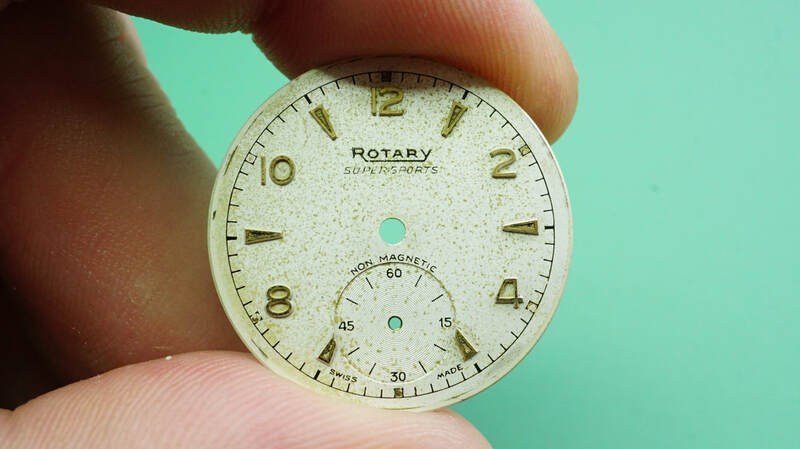 Cleaning by various means ( chemical, abrasive etc ) can bring back life to a dial that was once thought to be lost to aging, this method also keeps the originality of the watch. 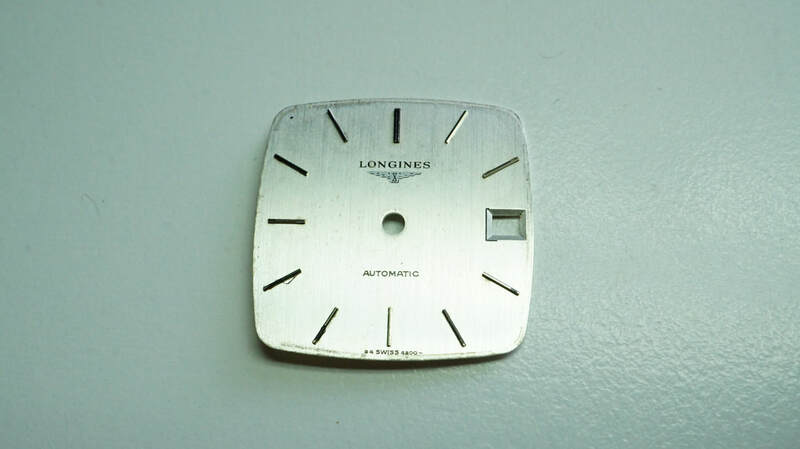 The following examples are what can be achieved with chemical & abrasive cleaning, the process is very risky and the loss of print can be very high but in approx 60-70% of cases there can be a marked improvement. Before - Dirty, spots, uneven. The above are just a few examples of what can be achieved with some care, i will be sure to add more examples over time but for now you get a good idea. 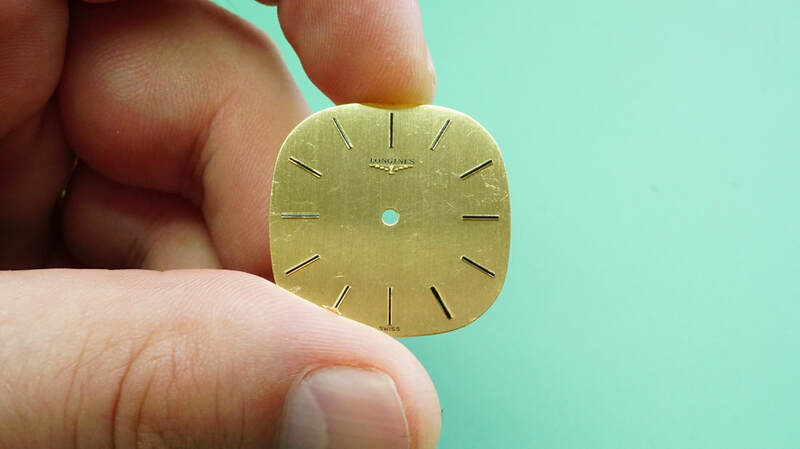 For enamel dials the process is slightly different but sometimes the results can be equally as effective. 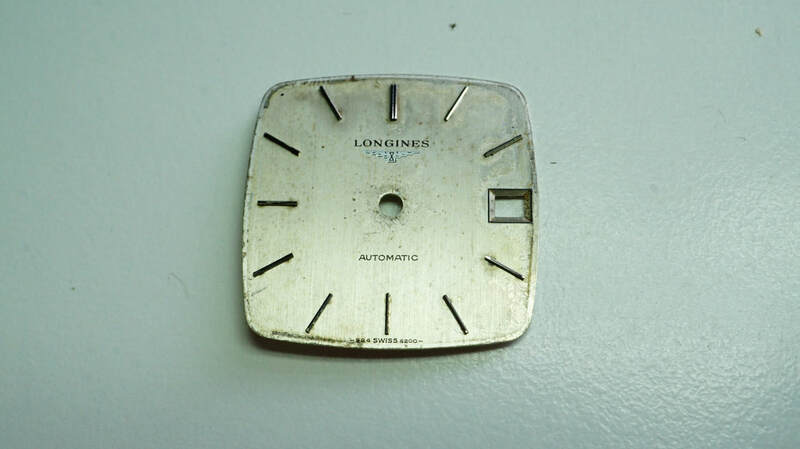 Please Note - Cleaning dials is very risky and should only be done with knowledge that it can make a dial worse. 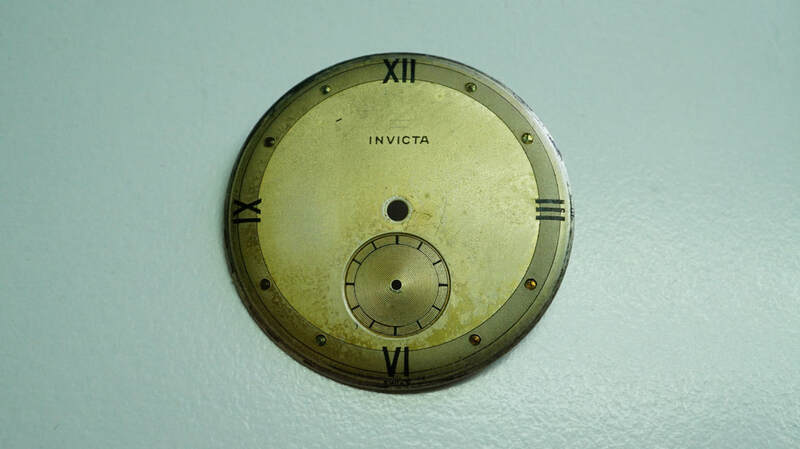 Cleaning should not be carried out on dials that belong to others without express permission !